It's 4:30 a.m. and she wants to go out. It's so early. It's too early. 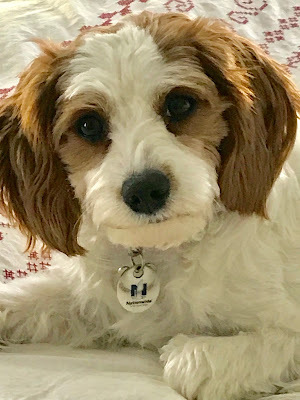 Maggie, our 1-year old Cavapoo (Cavalier King Charles Spaniel and Poodle combo) has been getting into bad habits. The night before it was 4 a.m.
"Go back to sleep." I reach down the bed to pet her. She stands up and shakes her head. Then she jumps off the bed. "Maggie, go to sleep," my husband says. We weren't giving in. She jumps back into bed.